MANCHESTER, New Hampshire — A leader of President Donald Trump's voter fraud commission clashed on Tuesday with the man who has ruled elections in New Hampshire for decades over the integrity of ballots cast in last year's presidential election. 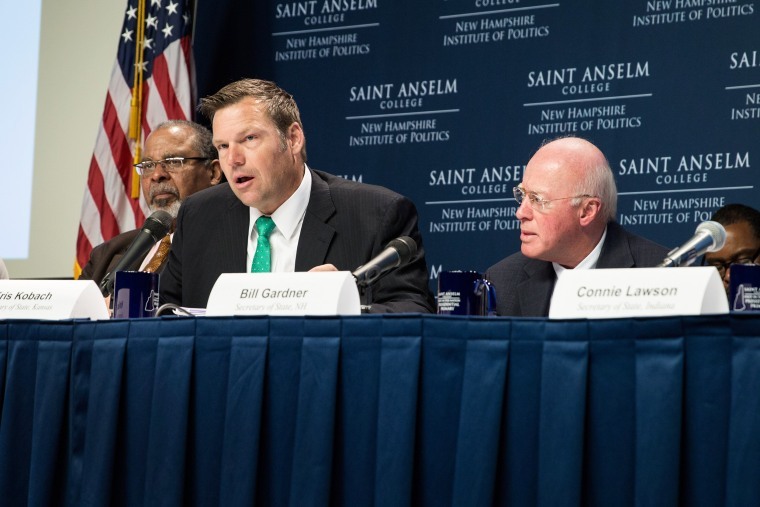 At the commission's second public meeting, Kris Kobach, the panel's vice chairman and Kansas' secretary of state, defended a claim he made last week that it was “highly likely” that votes cast by nonresidents of the state influenced the result, a charge that New Hampshire Secretary of State Bill Gardner, a member of the commission, dismissed. In an op-ed in Breitbart News last week, Kobach charged that the senate race, won by Democrat Maggie Hassan, was "stolen through voter fraud" because of the participation of voters with out-of-state licenses. Kobach, however, stood by his column and continued to suggest that out-of-staters could sway an election, although it would be hard to prove. Kobach said that he struggled in the column with "what verb to use," settling on “appears” to describe possible fraud, but allowed that he erred in trying to condense a “complex legal issue." Related: Trump Claims Vote Fraud in New Hampshire. His Commission Is Going There. Gardner pointed to comments made by the panel's chairman, Vice President Mike Pence, at the first meeting, in Washington in July, who said the panel would not work with any preconceived notions.Pence did not attend the second meeting. "That is something that we all need to stay focused on," Gardner said. "I hope we all learn from this." Gardner has come under fire from members of his party for continuing to serve on Trump's commission, especially in light of Kobach's column. The state's two senators called for him to step down, but Gardner on Tuesday gave no indication that he would. Commissioner Matthew Dunlap, the secretary of state in Maine, also criticized Kobach for the column, calling it a "reckless statement." "I do think that whatever happened in November either in Maine or New Hampshire, we’ve certified those elections and I think people should trust those elections," Dunlap added. Gardner later said that the friction among the commission members is a good thing. "It's much better to be tested in the beginning and then come together," he said. "There might be a consensus, that's my hope." Dunlap and Kobach said the second meeting was more "substantive" than the first. The first meeting focused on honing the commission's mission and the issues it would tackle. At the second meeting, the panel invited several experts and officials involved in voting matters around the country to speak, including partisan groups such as Judicial Watch, a non-profit conservative watchdog. Panelists focused on some of the issues the panel could highlight in its final reports, such as improving voter turnout and voting machines, election security and hacking. John Lott, the president of the Crime Prevention Research Center, also presented an idea of expanding the system that completes background checks for buying guns to voter registration, which drew skepticism from some members. Hans von Spakovsky, a member of the panel and former member of the Federal Election Commission, presented a database compiled by the Heritage Foundation that he said contains nearly 1,100 cases of voter fraud. He called it "the tip of the iceberg." "This is just a fraction of the cases," he added. Before the meeting, dozens of protesters held signs calling the commission a "sham" and said the commission's work could lead to voter suppression. The panel is to issue a report on their findings in the next year. The rally was organized by the ACLU, NAACP and Let America Vote, a group led by Jason Kander, the former Missouri secretary of state. Kander said the commission was borne out of the president's claim that 3 to 5 million people voted illegally in the 2016 election, costing him the popular vote. Kander called it "the biggest lie a sitting president has ever said." 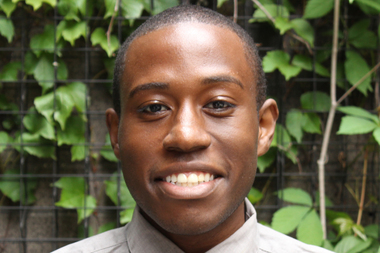 "I call it the Voter Suppression Committee to Elect the President," Kander added. "This is not a policy difference. This is a political strategy." Kobach, however, considered the meeting a success, saying the commission would continue to gather "as much data as we can" on the election system. "This was a great start," he said.